A reminder of the Club Transmediale which opens this week and of my modular workshop & tour of Schneidersbuero on Wednesday. 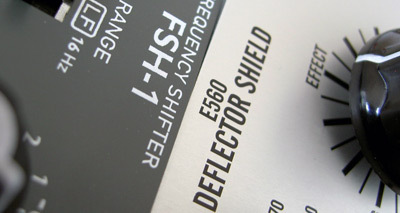 A comparison of two frequency shifters: the Cwejman FSH-1 and Synthesis Technology E560 'Deflector Shield'. Two 'Klangumwandler': one analogue, one digital. One is capable of wide shifts, the other of going thru-zero. Download the album for €1 or more to access the examples. Internal make-up aside, the key difference between the Cwejman and Synthesis Technology modules is the range of available shift. The FSH-1 is quoted as spanning 0.02Hz to 12kHz. The E560 concentrates on lower frequencies to take advantage of the stereo effects made possible by shifting thru-zero. Take care of your ears and speakers with these recordings! Here's a quick manual tweak of the frequency. (range, MMF-1 sine. FSH-1, then E560). 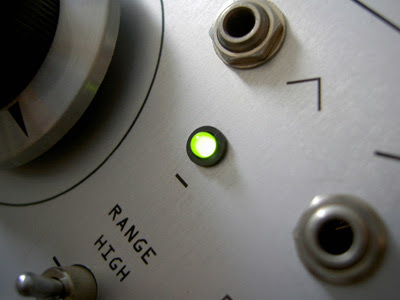 While the Cwejman has a switch to toggle between LFO and audio rates and a fine tune dial, the SynthTech relies on a single frequency knob with a highly-exponential response. This makes it easier to dial-in slower rates, but, as you can hear, the jump in the last 10 degrees of the pot's rotation makes it harder to set higher frequencies. (e560_thruzero, MMF-1 sine. E560, manual tweak, carrier 8). (e560_slow, RES-4. E560 carrier wave changed near end). (hitrack, MMF-1 sine, CV to FSH-1 then E560). (fsh-1_tone, MMF-1 sine, FSH-1. 50-50 mix. Eos reverb). (e560_fsdelay, EHX SMMH, E560 plus feedback). The build quality of both modules is excellent. The Cwejman has attenuators for its inputs and a VC-able up/ down mix output. 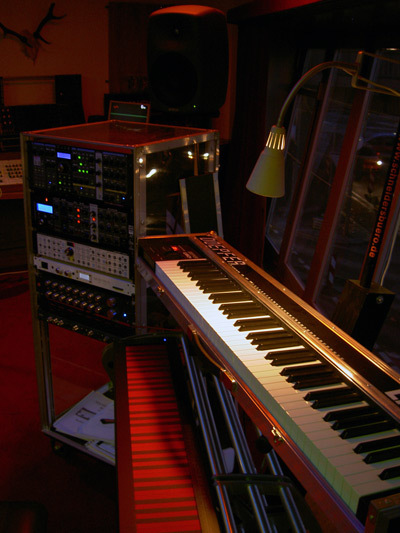 The SynthTech has a built-in feedback path and dry/ wet control. To my ears, the FSH-1 has the superior sound, but it is almost twice as expensive. The E560 offers thru-zero shifting but, in practical terms, is limited to low frequency shifts. 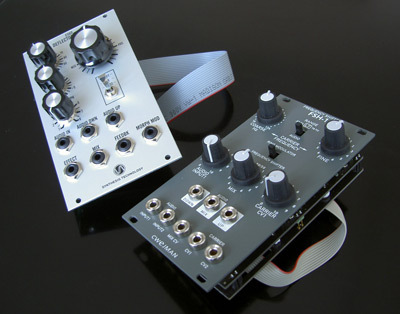 Both modules have a ring-mod mode, offering out-of-phase outputs for extreme panning effects. The E560's phaser mode might not be as pronounced as a dedicated unit like the SPH-2, but it is a nice bonus. The FHS-1 can also be pressed into phaser-like duties by mixing dry and wet signals and introducing some single sideband feedback. The E560 alone offers morph-able carrier waveforms, a unique feature in a hardware FS. Thanks to Paul Schreiber and Wowa Cwejman for taking the time to answer my questions and to Schneidersbuero for the loan of the modules. 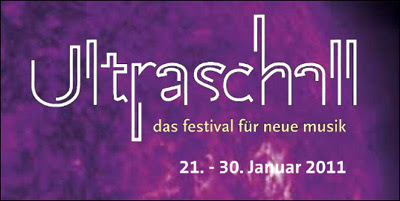 A quick heads-up about the Ultraschall Festival for new music, which opens in Berlin today. For details, check the programme at the Kultur Radio or Radialsystem sites. Tickets are still available for tonight's TU-Studio concert, featuring a five-channel performance of Pierre Alexandre Tremblay's Ever Now Soon An End, a new piece by Ron Kuivila and a live performance by Alvin Curran. Thru-zero linear FM fun with the Cyndustries Zeroscillator and Toppobrillo Sport Modulator. Today's PotD showcases some of the lovely linear FM timbres and stereo effects that the ZO is capable of. It's a single-pass recording of the 0 and 270 quadrature outs, panned hard left and right, with only a little plate reverb from Audio Damage's Eos added. I used a self-oscillating Cwejman MMF-1 filter as modulator, manually offsetting its pitch with four pre-set voltages from a Fonitronik mh01. The Sport Modulator drives the patch, delivering both CVs and gates. The cycle/ sample times were nudged manually, with some cross-modulation and the stepped random signal of a Wogglebug. The latter's smooth out modulated the attack time and loop trigger of a Cwejman CTG-VC. At high speeds, the envelope amplitude modulates the VCA-2P used as the final gate, adding further sidebands to the mix. 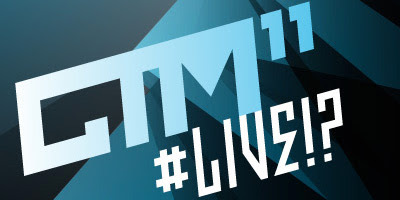 A belated Happy New Year and a heads up about CTM.11, which runs from 1 - 6 February in Berlin. This year's festival features concerts by Morton Subotnick and me, although, unfortunately, we won't be performing together. 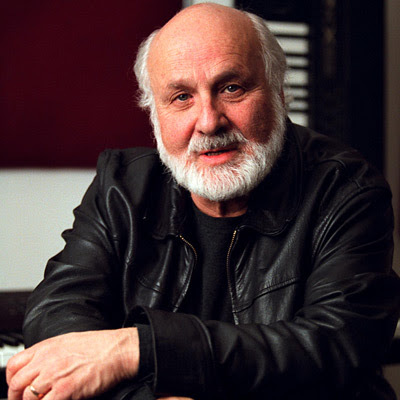 Subotnick will be opening the festival on the 31.1 with a reworking of his classic "Silver Apples of the Moon". Joining him on stage at the HAU will be Berlin video artist Lillevan and Korean pianist SooJin Anjou. Details here. Subotnick will also be giving a lecture at the 'Pioneers' session on 3.2. at the HAU1, which will also premiere Stan Warnow's "Deconstructing Dad" about the life and work of Raymond Scott. 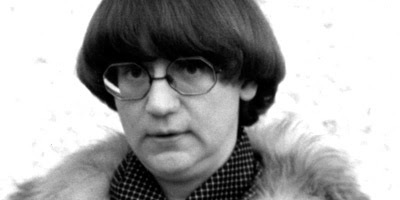 Electronic enigma Ursula Bogner will join Faitiche label-mates, including Jan Jelinek, at the Festsaal Kreuzberg on the 2.2. 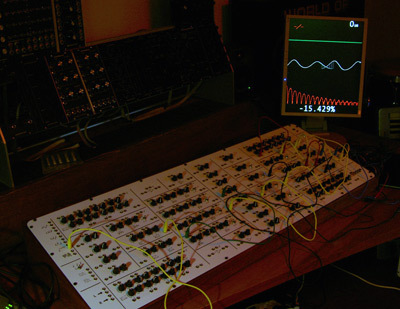 Robert Henke, aka Monolake, will perform a wave field synthesis, or surround sound, concert on the 3.2. at the HAU2. For more concert dates, see the CTM.11 Programm Preview. Leaf Audio will be hosting another of their DIY workshops at the HAU3 on 2.2, where participants can build one of their snack-box synthesizers, like the Bumsss, BongBong and wonderful Fuzz-O-Mat. Register here. 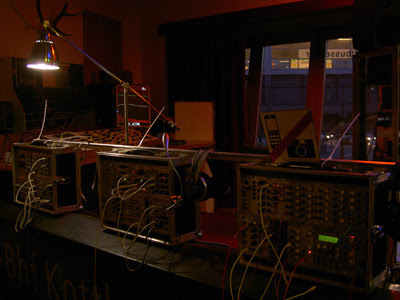 And, also on the 2.2., I'll be giving a guided tour of Schneidersbuero and playing a short live set, possibly including my take on Subotnick's Sidewinder and Ghost Tracks technique. If you're in Berlin, I look forward to seeing you at some of the events!